At Aspired Therapies, we ca n help with weight loss and weight management by helping you change past eating habits, attitude to food, your self image, reduce stress and provide a positive mental framework. We do not offer a diet, but a way to focus your resources on your desired goal. More often than not, overeating is a substitute for a sense of security which masks an underlying fear. Whatever the cause, it is becoming increasingly understood that dieting alone does not work well for most people. This is because your new eating pattern has not been changed in your subconscious, hence many diets fail. 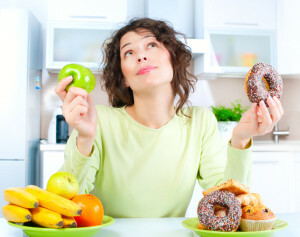 With the use of hypnotherapy or counselling, we can replace old eating habits with new, healthier associations. One example why we overeat is for instance ….. when we were children and hurt ourselves, our parents gave us sweets to ease the pain. Our subconscious has followed this thought into adulthood. If we feel down or fed up, we reach for chocolate or biscuits to make us feel better…. At aspired therapies, we help you to discover what really is making you put on weight and help you to become more successful by finding real solutions, rather than counting calories. Exercise and a sensible diet are very important to keep us healthy. We can assist you to re-educate your subconscious mind, helping you think about your weight and weight loss in a positive way. Visualisation techniques are used to enable you to picture yourself as a healthier, slimmer and fitter you. A short course of hourly sessions is recommended. By increasing your motivation, your confidence in yourself and your focus, you really can reduce your weight permanently.